I got this stunning image this month... "peacock"
which I bought in a 6 x 6 paper stack in "The Works" a little while back. and a little faux stitching around the edge, finished this card. 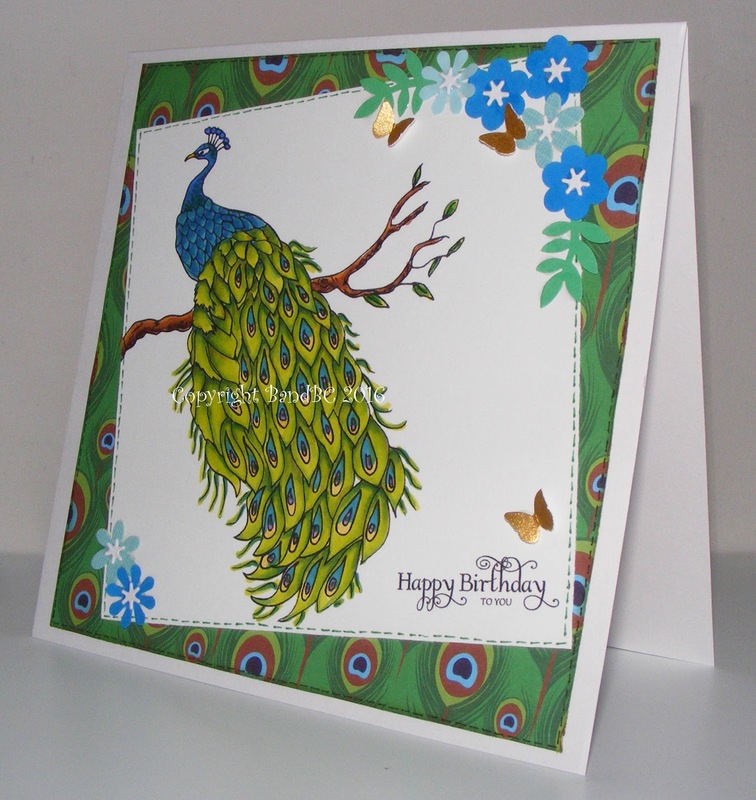 Vic, this is fabulous, really beautiful colouring - I would never be brave enough to colour that wonderful peacock. WOW! I can only imagine how long it took to color that image but you did an excellent job! Beautiful creation! Thanks so much for joining in the fun at our Double D ‘Feeling GREEN’ Challenge! We hope you’ll come back often. Beautiful card, beautifully coloured. Thank you for joining us at Paper Creator's Crafts. This is beautiful! I love how you colored my image. A gorgeous use of green.